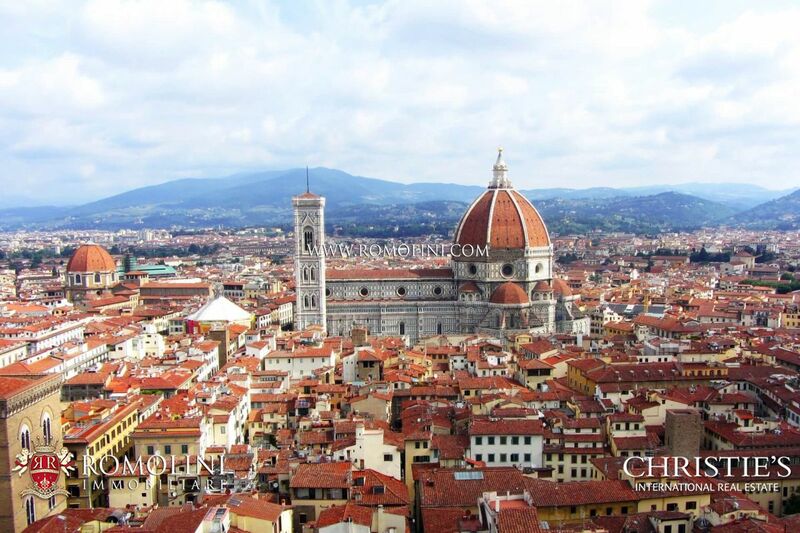 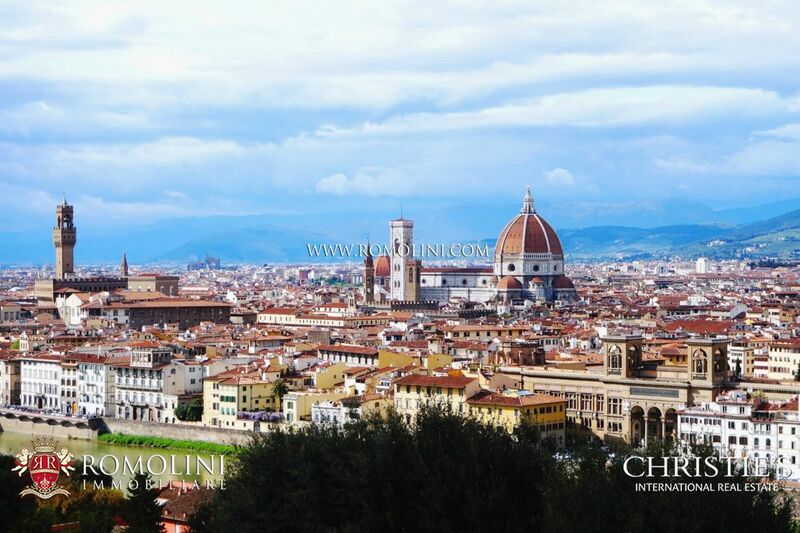 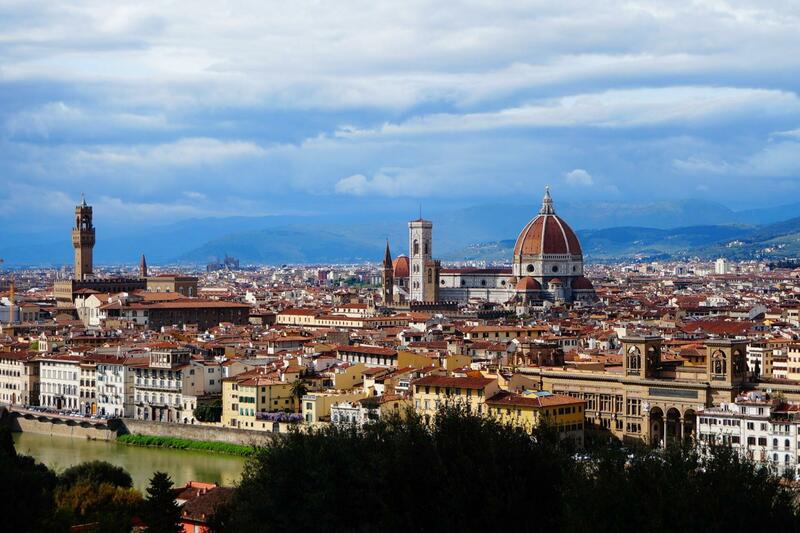 Florence is, without any doubt, the most beautiful city of Tuscany, dotted by monuments signed by some of the greatest artists of Italian history: Michelangelo, Brunelleschi and Michelozzo are just a few of the names which left their mark on the city. 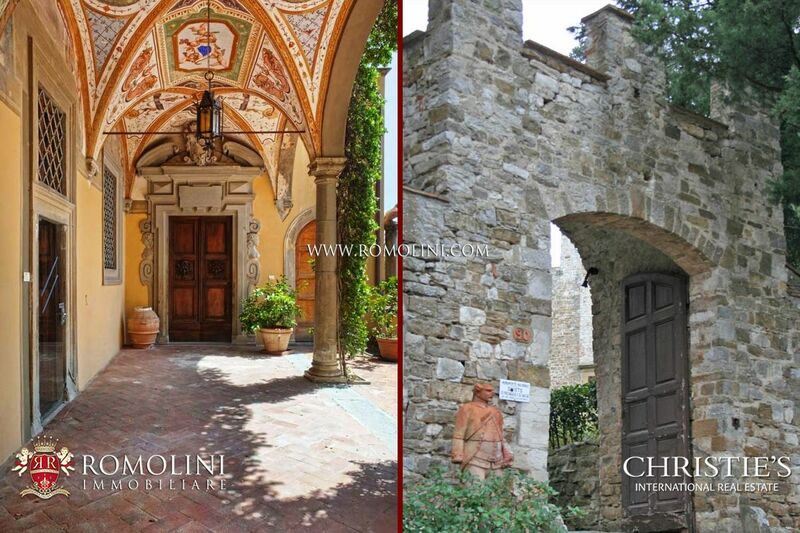 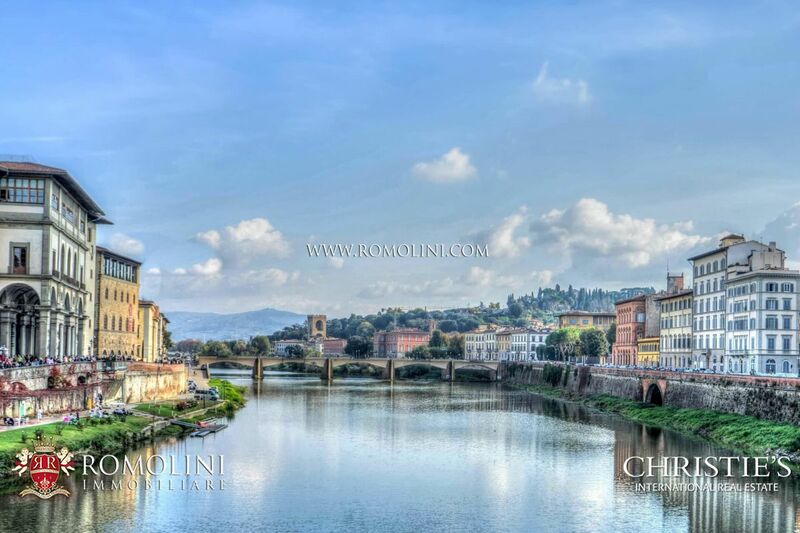 If you are looking for a luxury dwelling for sale in the historic centre of Florence, an apartment with view over the cathedral or maybe a wine estate in the countryside around the city, Romolini Immobiliare is proud to offer its custom selection of luxury properties for sale in the most beautiful city of Tuscany: on our website you can find wineries for sale in Chianti, luxury apartments and penthouses in the historic centre of Florence, Renaissance villas with view over the city and luxury 5-star hotels for sale. 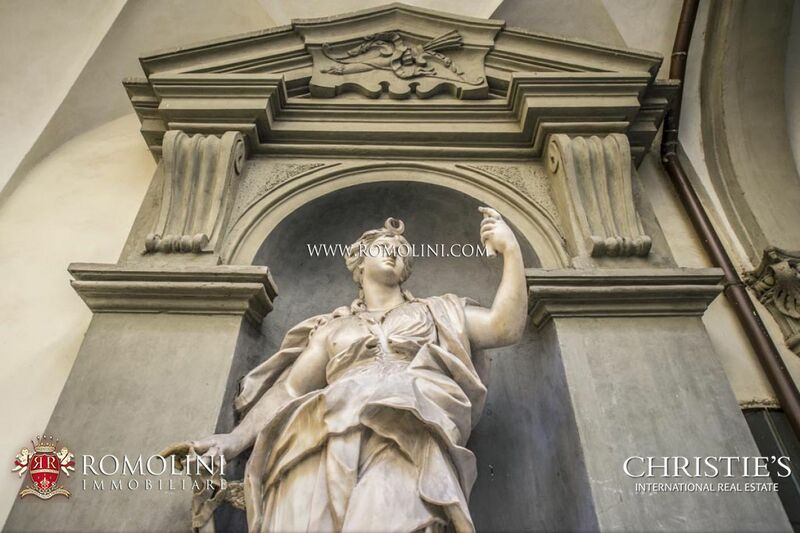 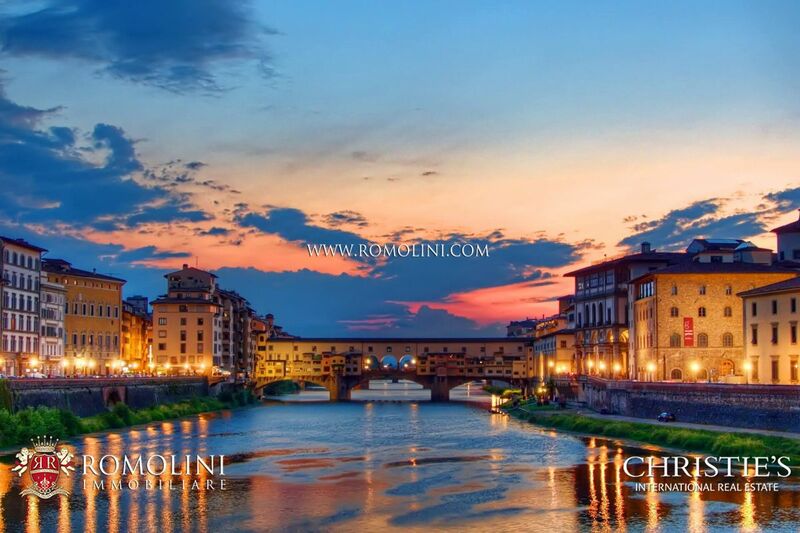 In the historic centre of the unrivaled Florence, not far from the monuments which marked the origins and led the artistic course of the Italian Renaissance, this beautiful hotel offers 16 bedrooms for a unique vacation in one of the most beautiful city in the world. 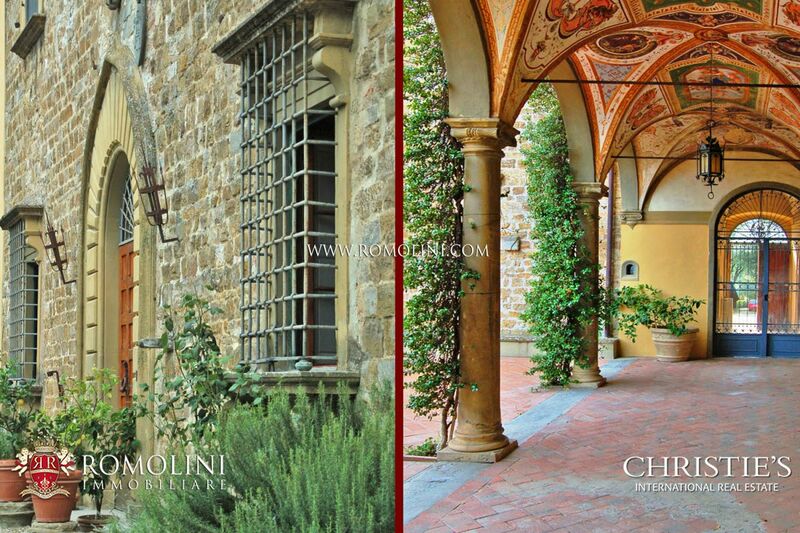 Completing the building we find a small garden in the courtyard. 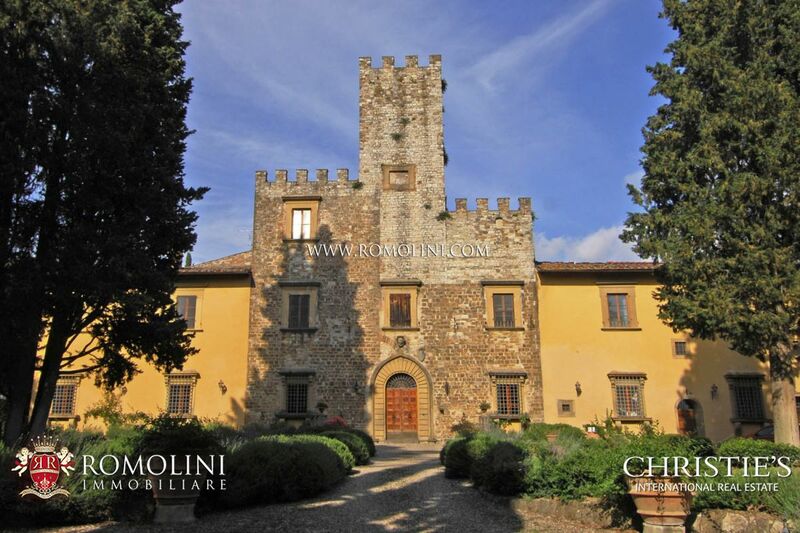 CASTLE FOR SALE IN TUSCANY, FLORENCE . 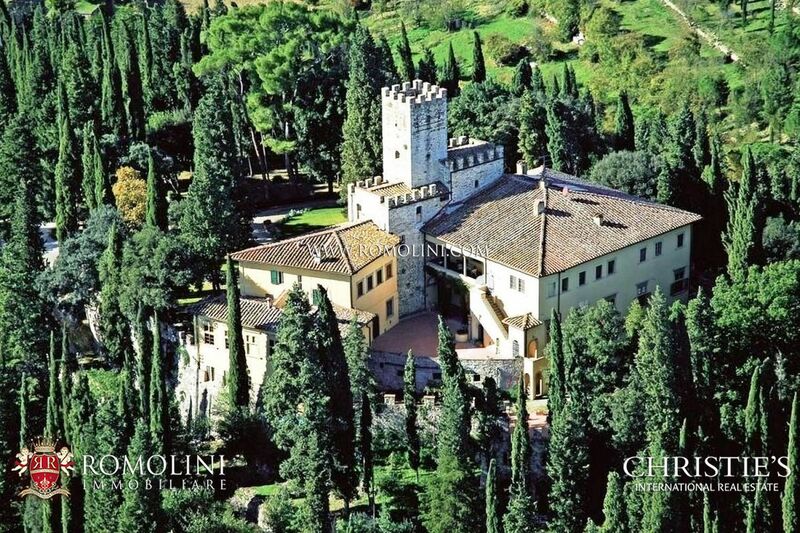 Castle for sale in Tuscany, Florence. 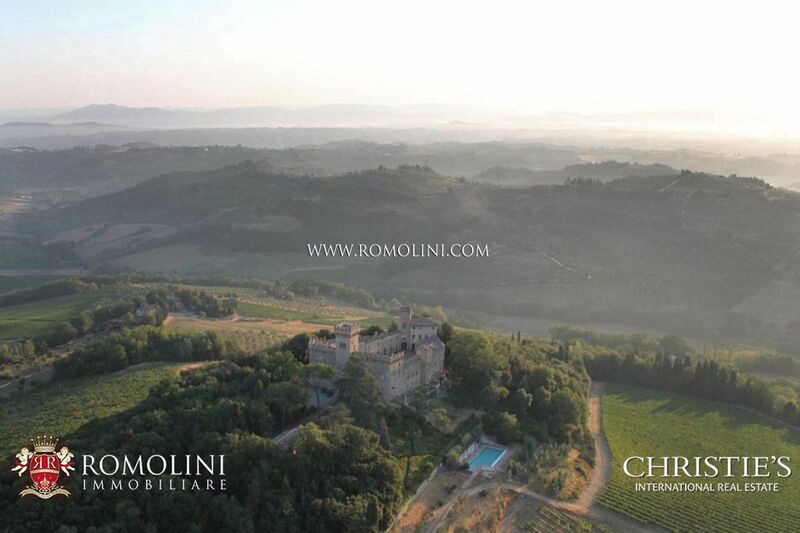 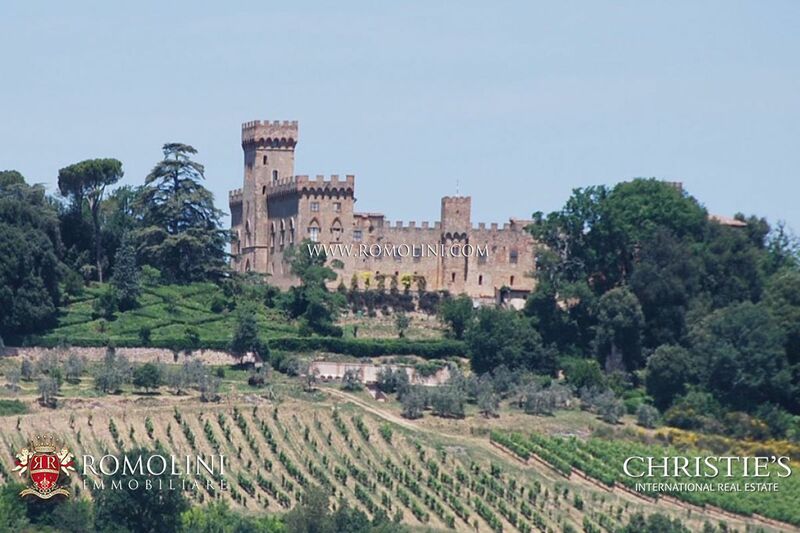 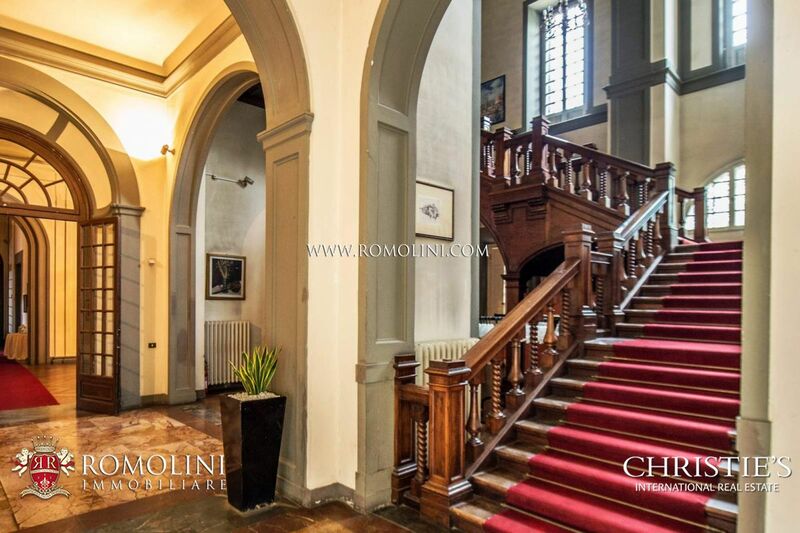 Only 12 minutes’ drive from the historic centre of Florence, in a panoramic and hilly position, 168 metres above the sea level, stunning castle (1,602 sqm) dating back to the Middle Age with private chapel. 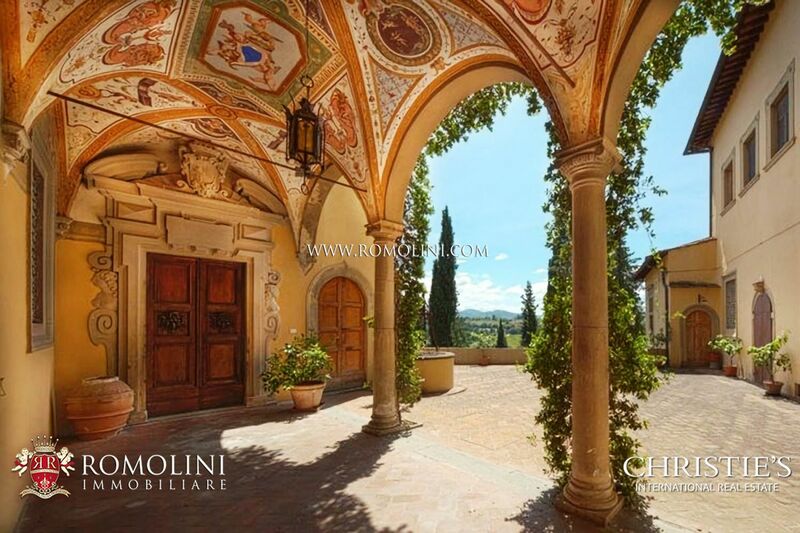 The castle is laid out on three floors plus a frescoed loggia and a courtyard with breathtaking views of the surrounding countryside. 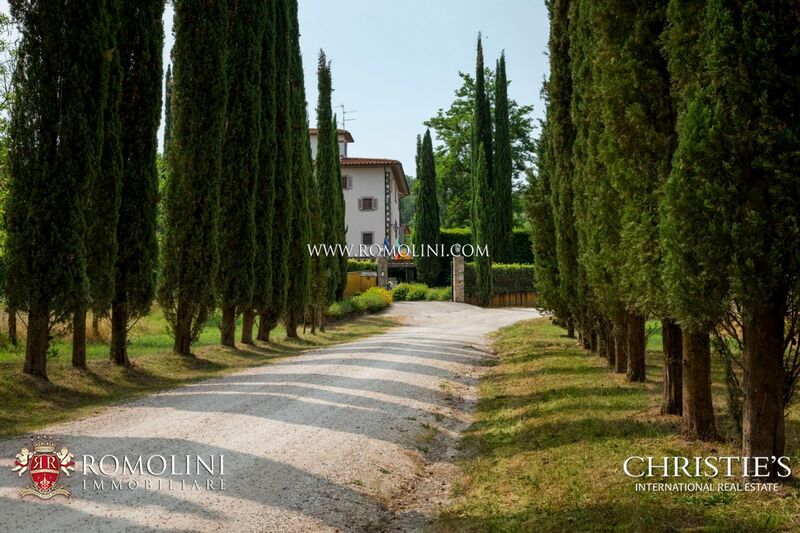 The property includes 8 ha of land with park, woodland and arable land. 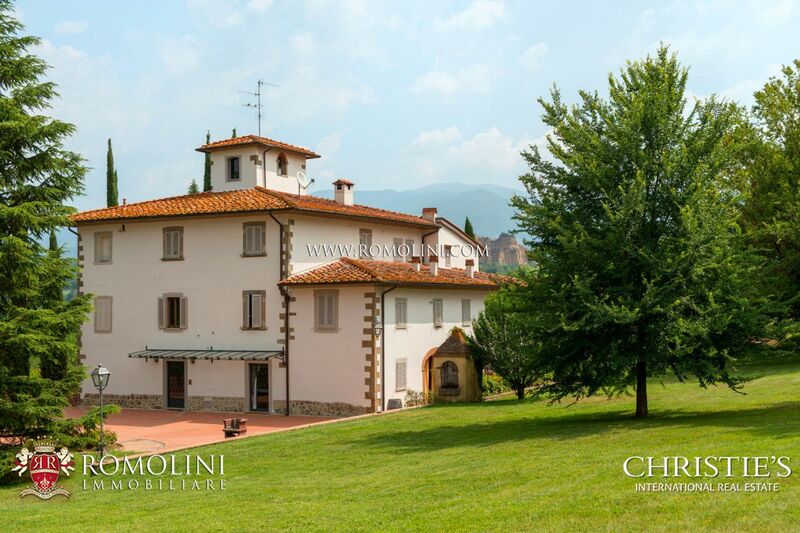 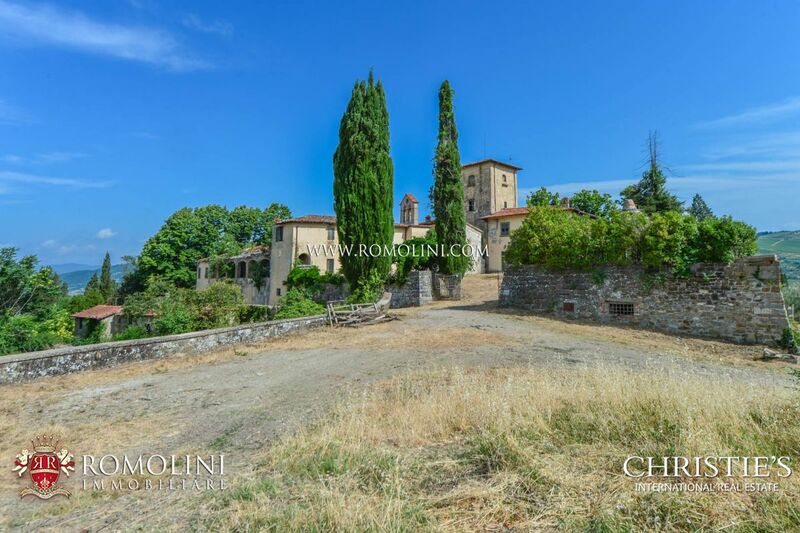 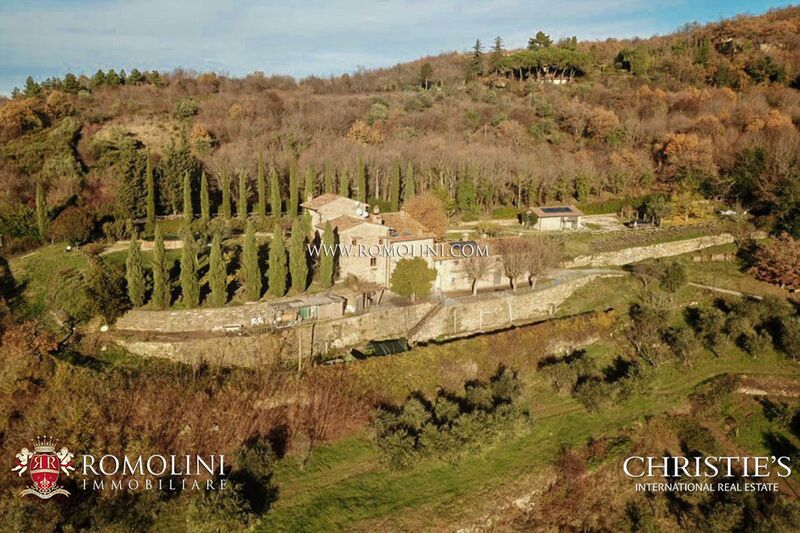 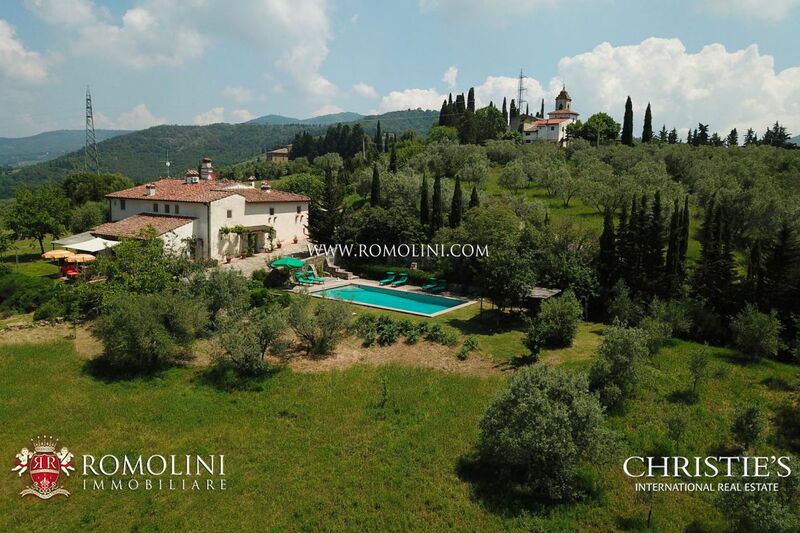 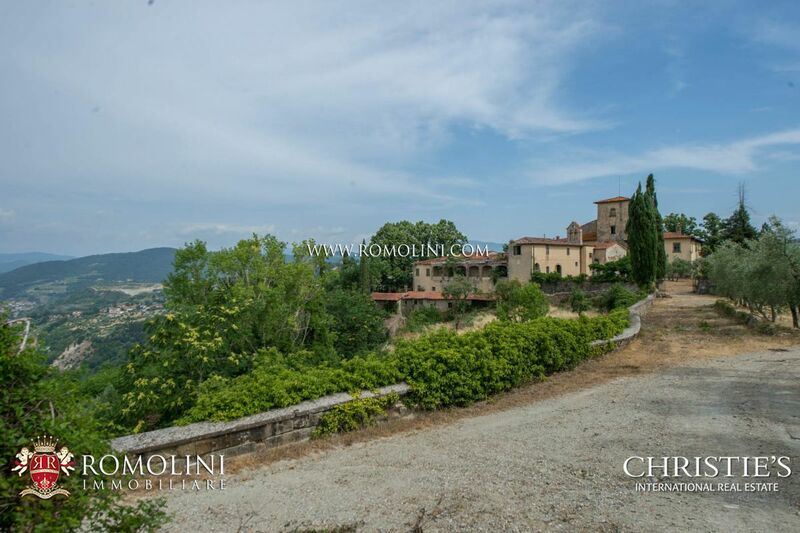 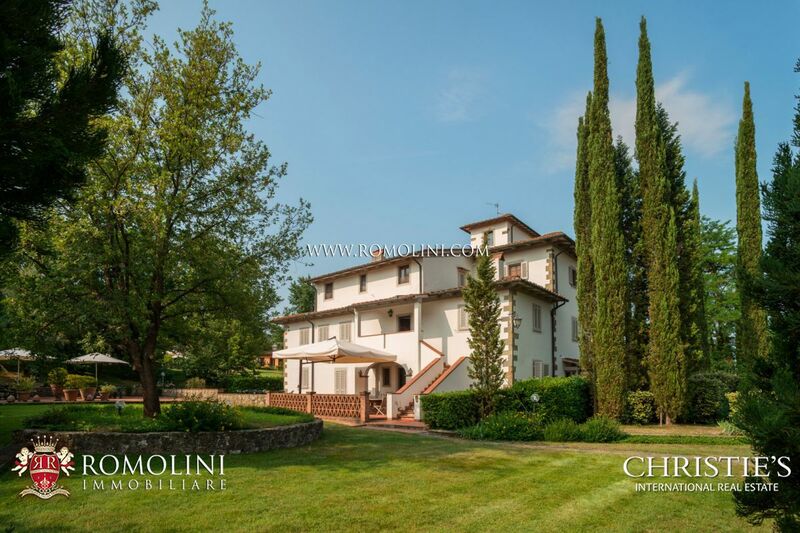 In the province of Florence, on the Chianti Hills, this 236.2 ha estate includes a beautiful historical manor villa and several farms for a total of 15,500 sqm. 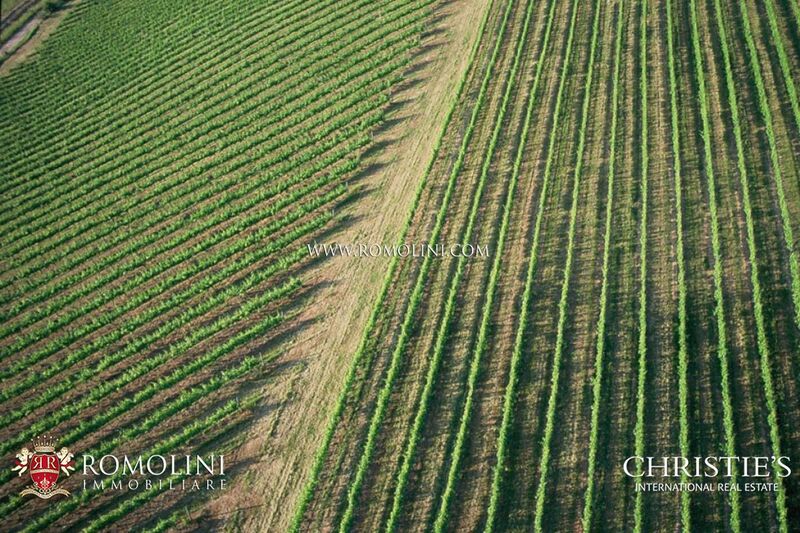 Jewel of the property are the wine and oil production, thanks to 18.1 ha of vineyard and 47.7 ha of olive grove. 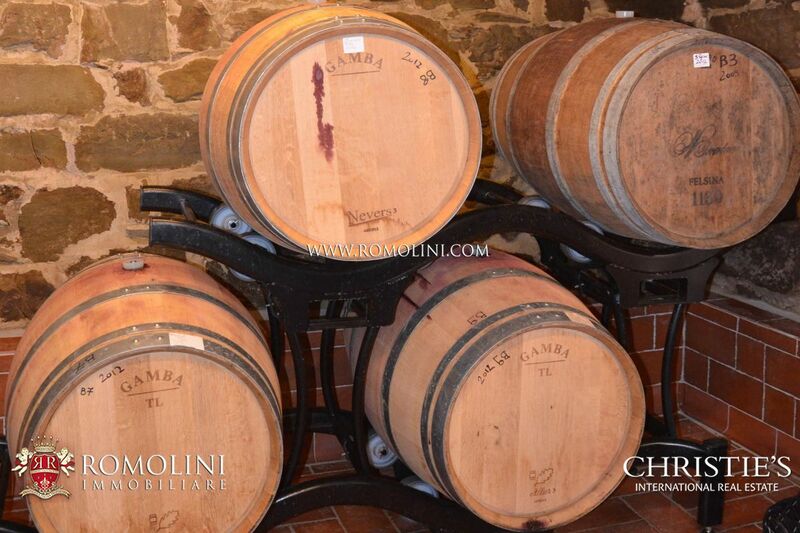 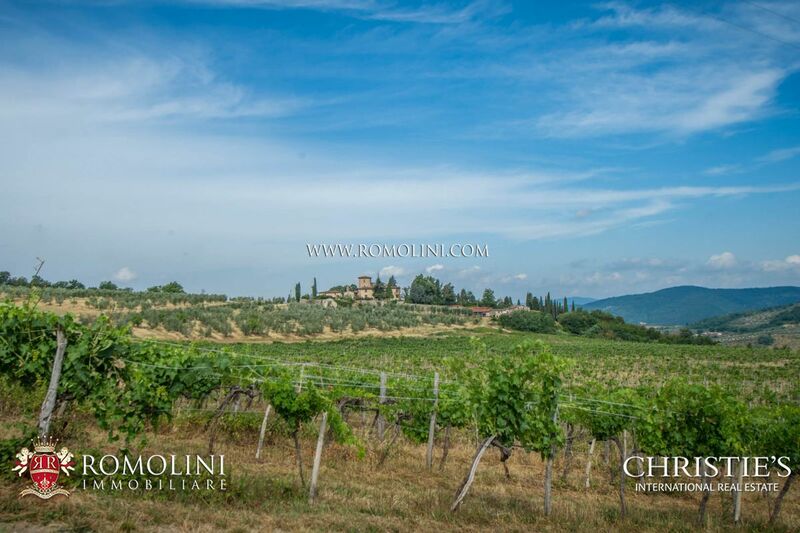 Yearly production ranges around 46,700 bottles of wine (including the famous Chianti Colli Fiorentini DOCG) and 12,000 bottles of oil. 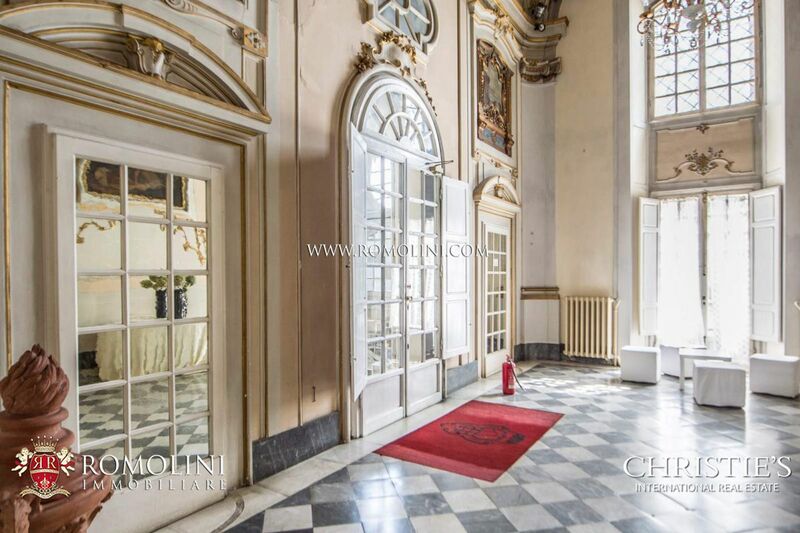 The restoration of the building could open up the doors to a luxury hosting business. 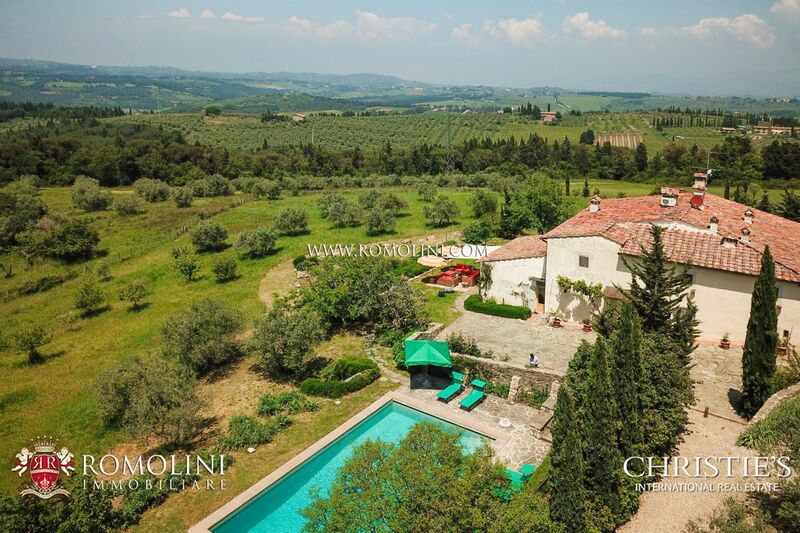 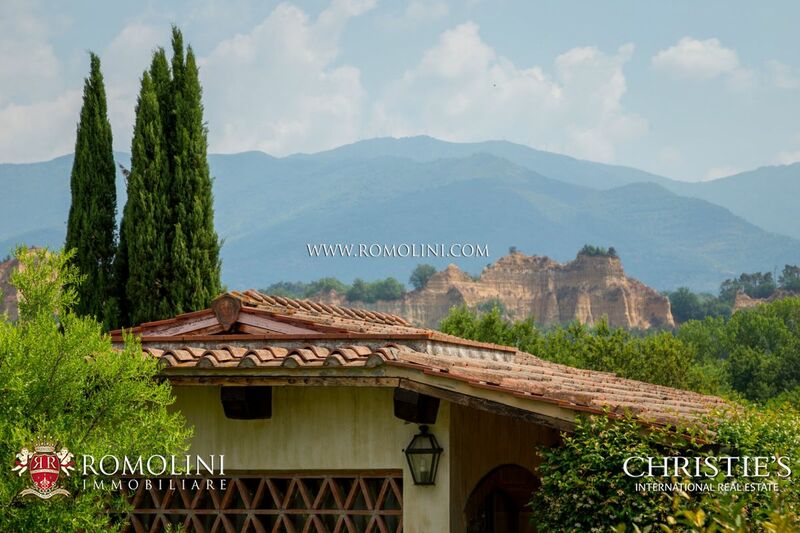 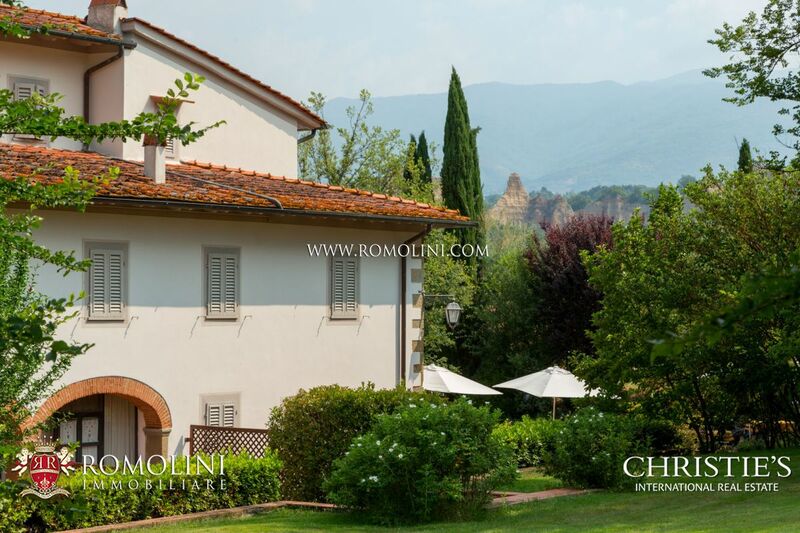 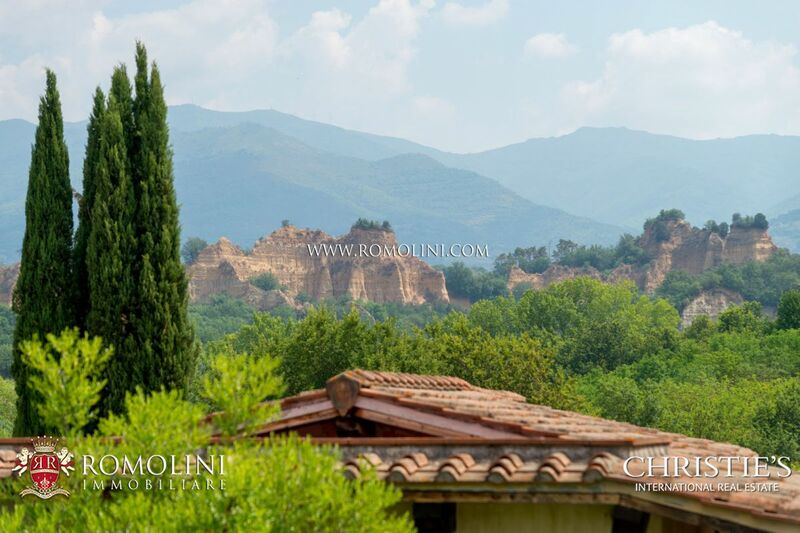 On the Tuscan hills around Florence, luxury villa in a reserved area well connected to the capital city of Tuscany and just 3km from the famous shopping outlet “The Mall”. 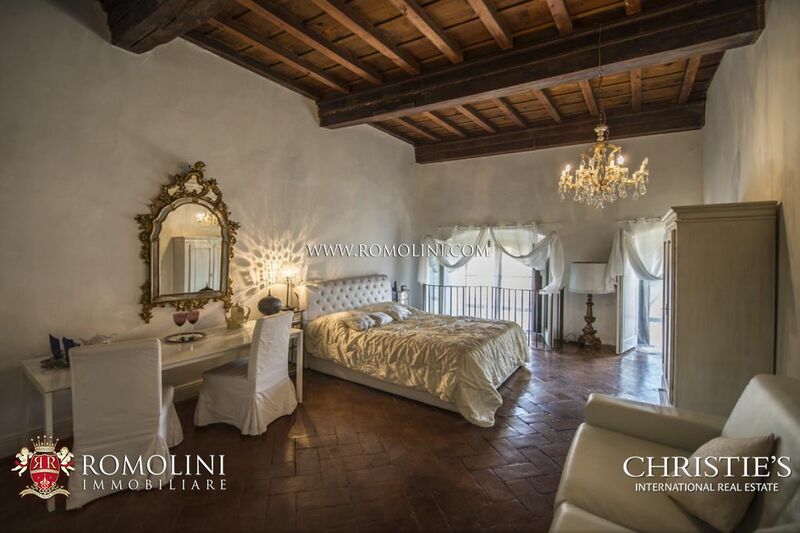 It is currently used as a business rental property (Up to 16 bedrooms). 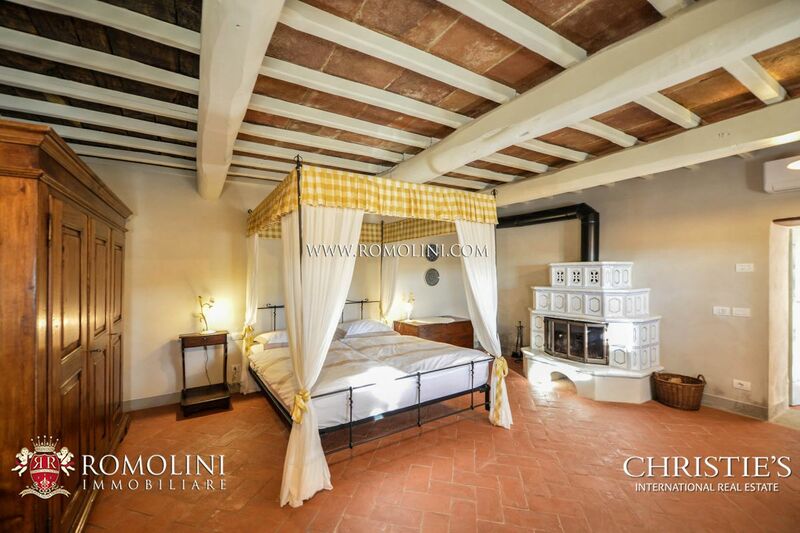 In a reserved and panoramic location, the villa boasts a spacious garage, a beautiful heated swimming pool with salt water and a fenced area for horses. 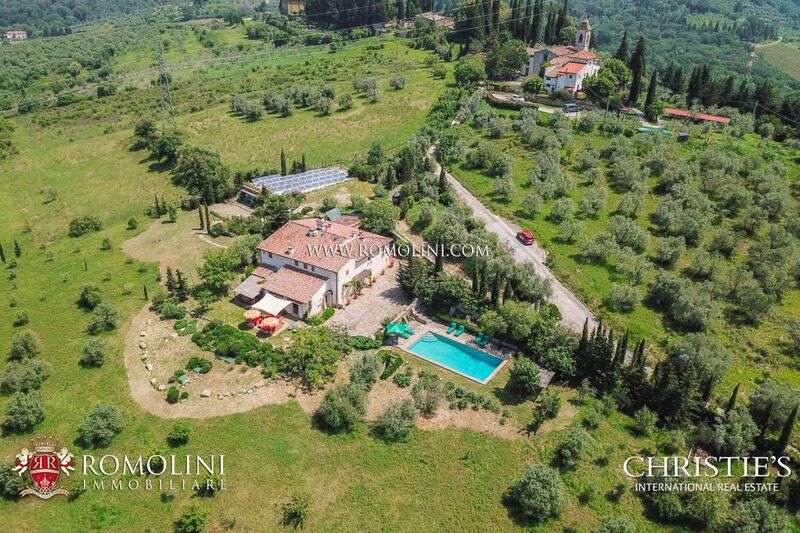 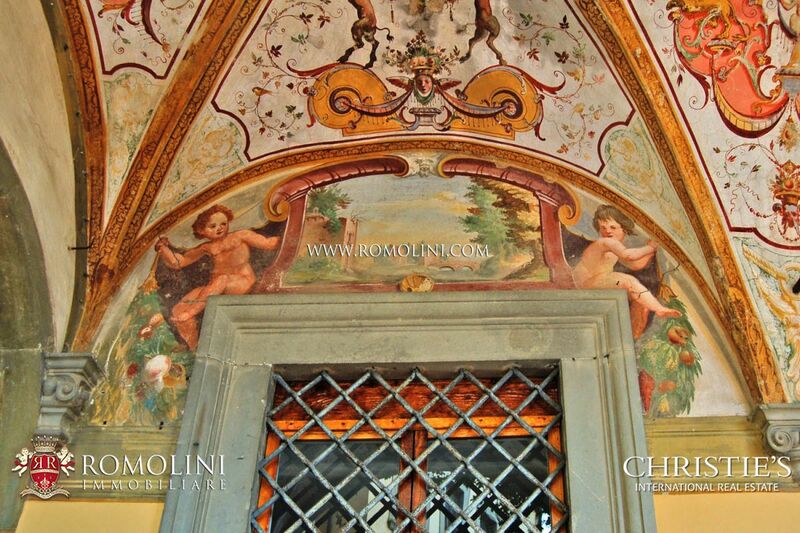 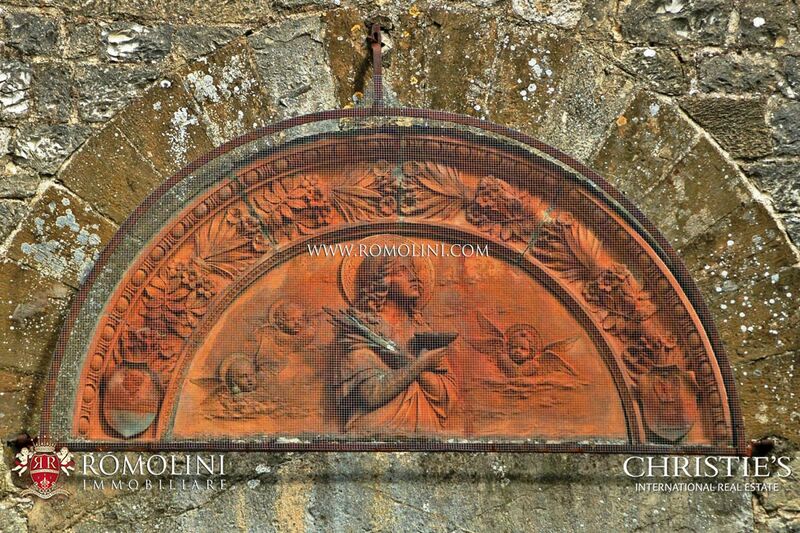 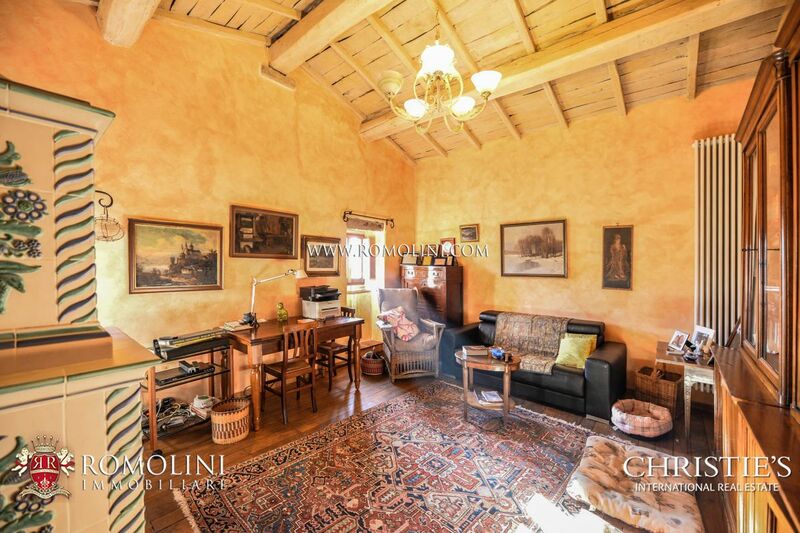 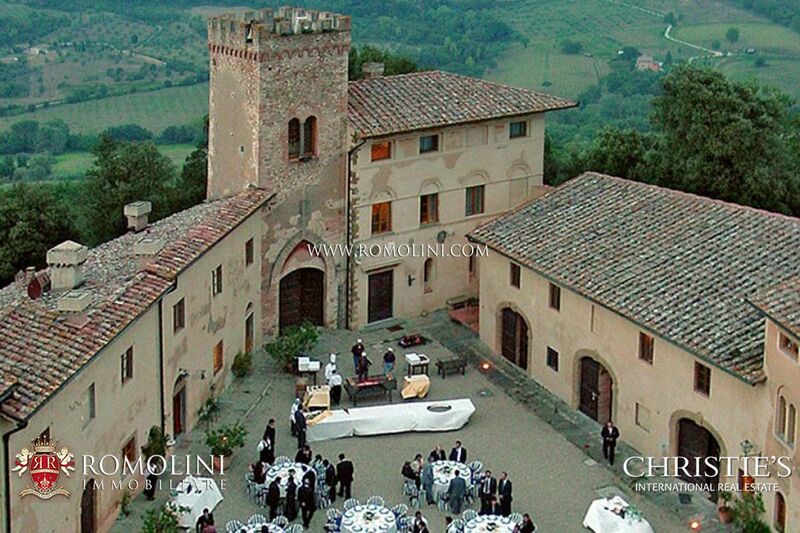 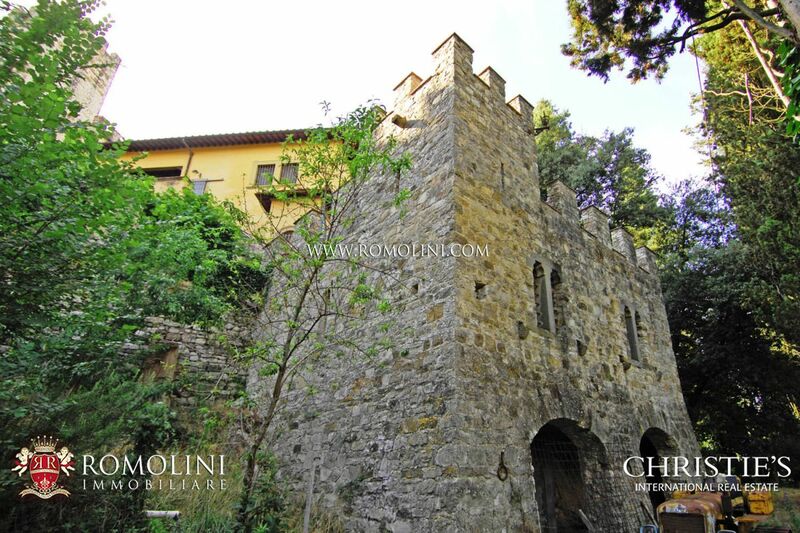 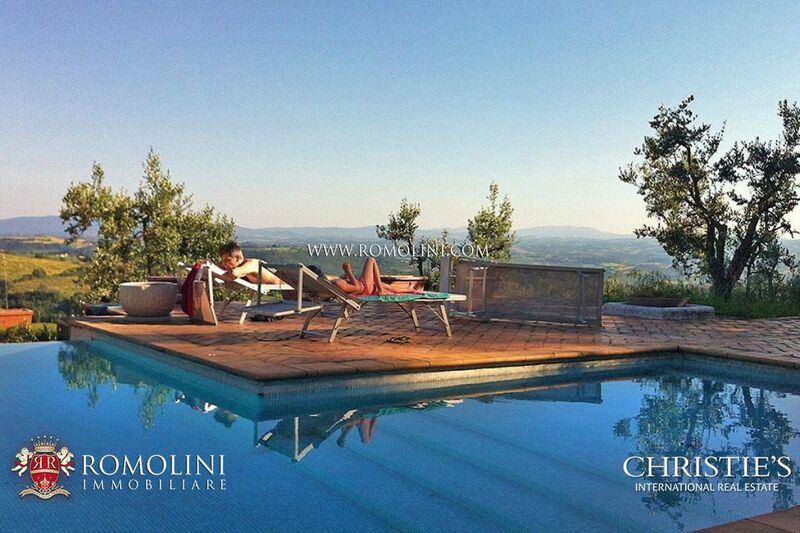 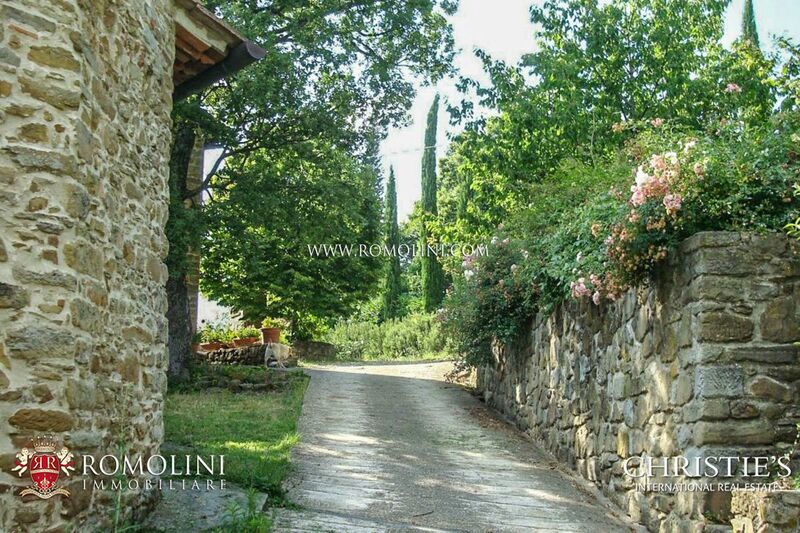 In Tuscany, in Florence, historic residence with 18 hectares (or 44.46 acres) of land. 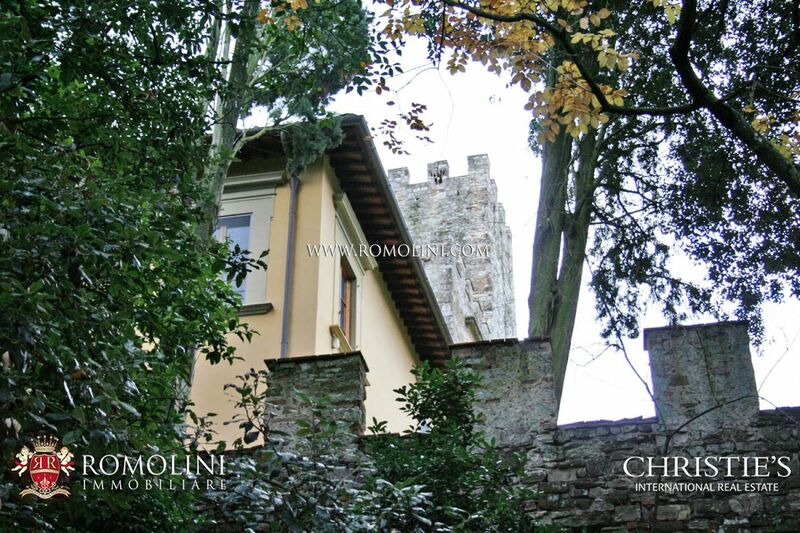 The property is composed of a manor villa, a secondary villa, a dependance, a green house and a tower with annex. 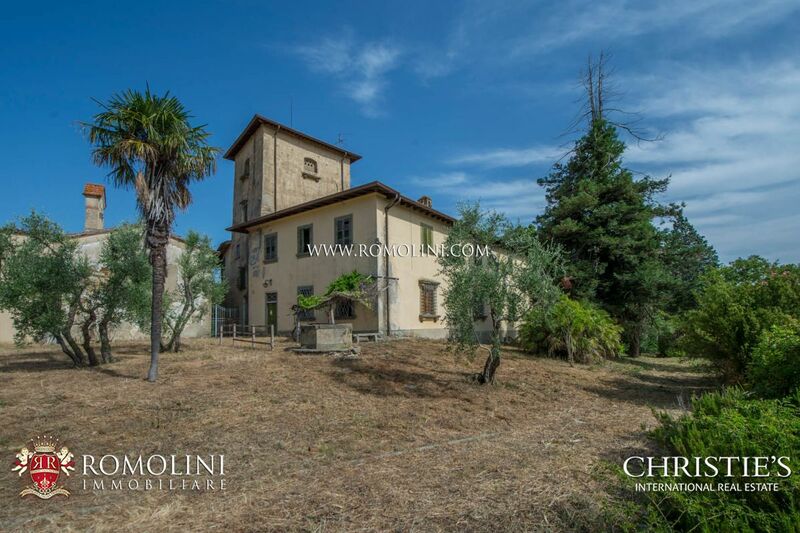 Both the villa and the other buildings are in good structural condition, but need renovation works. 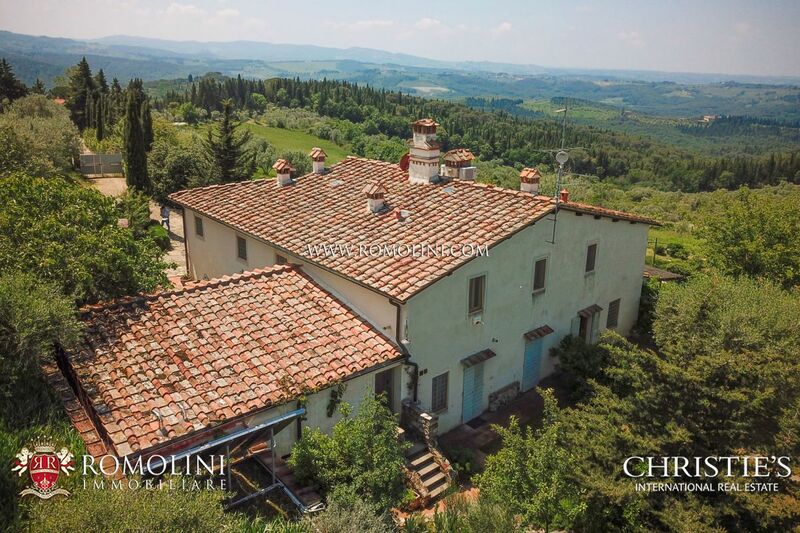 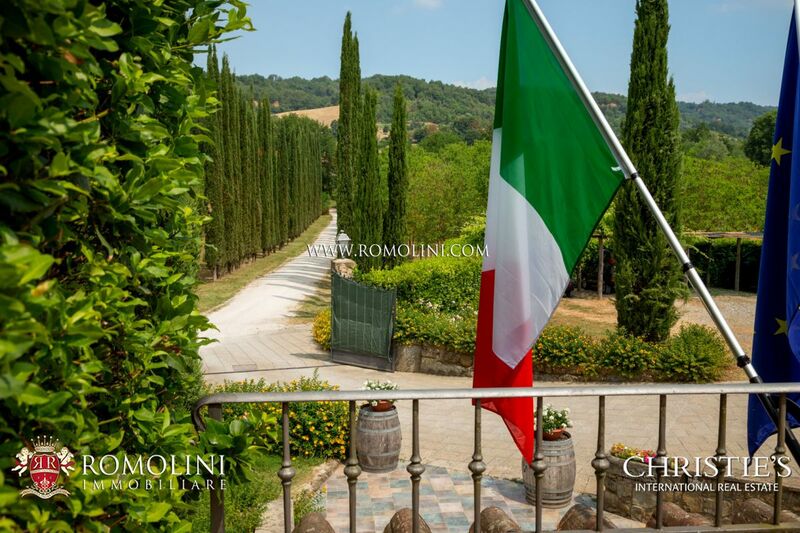 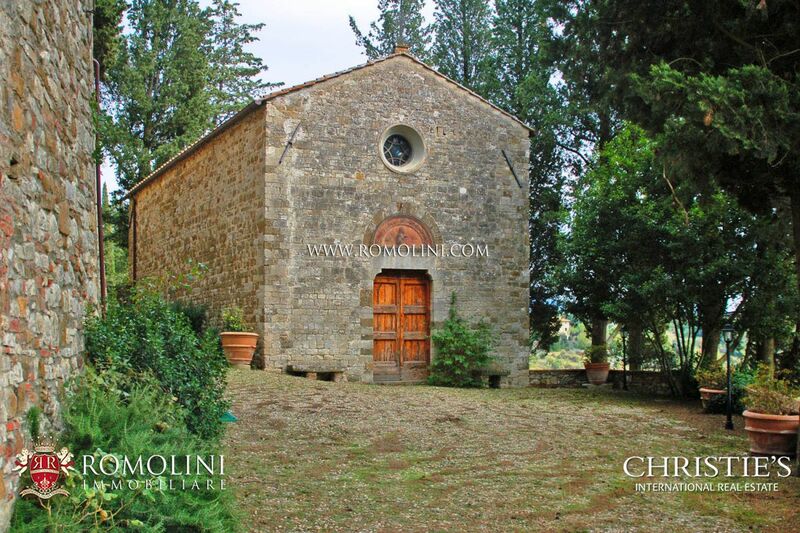 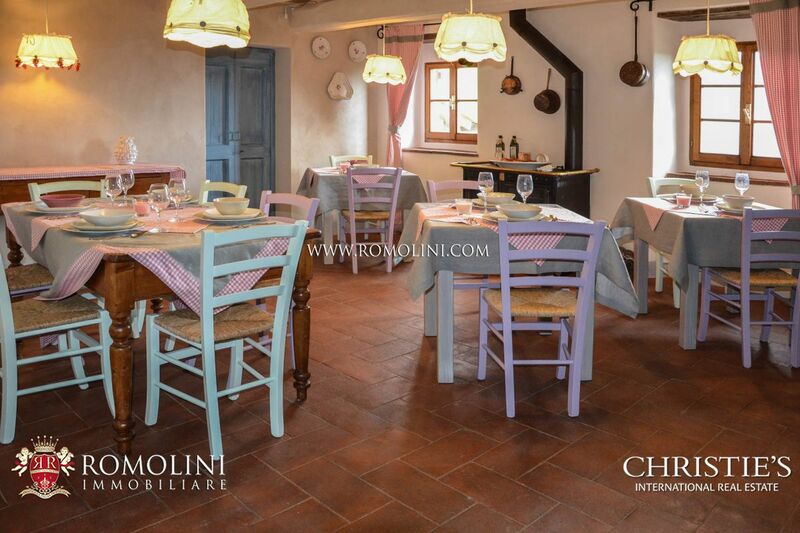 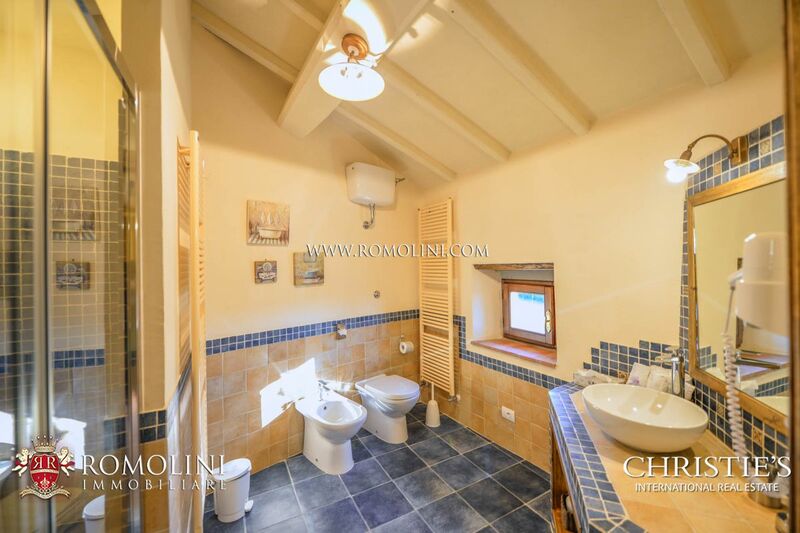 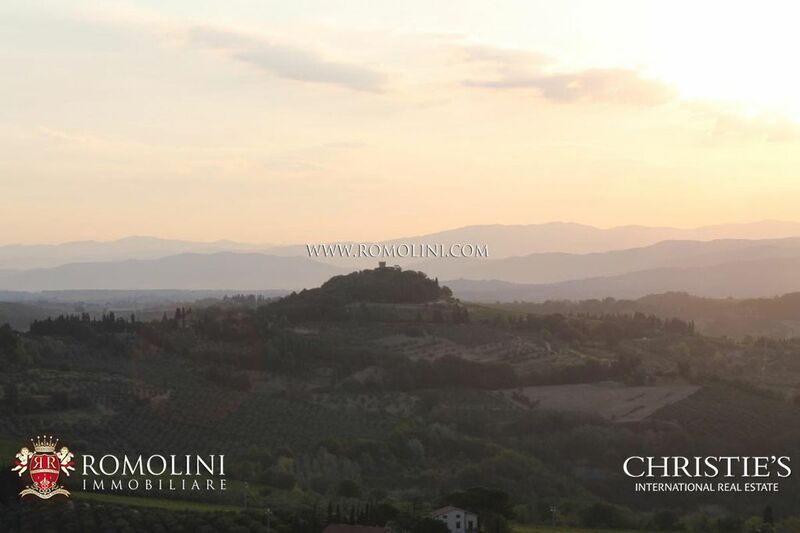 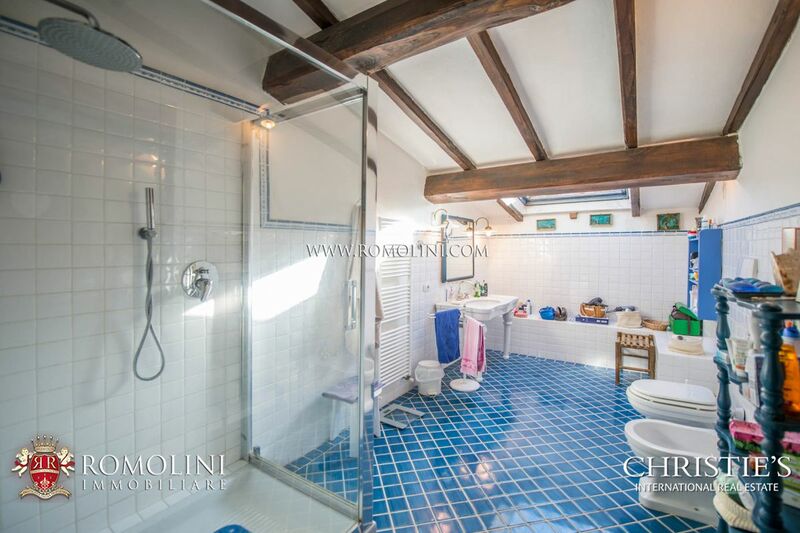 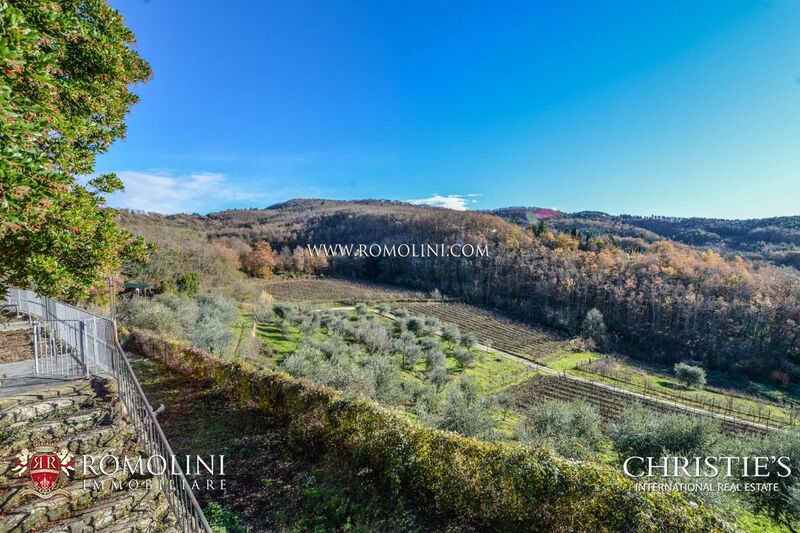 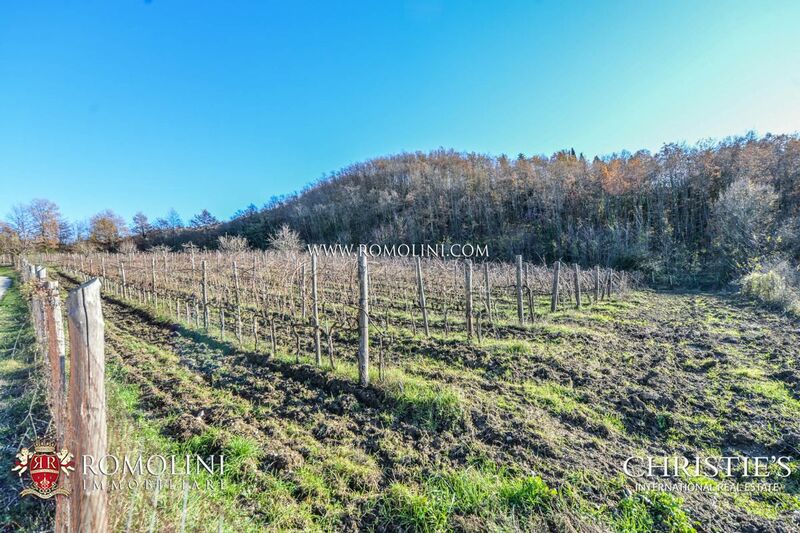 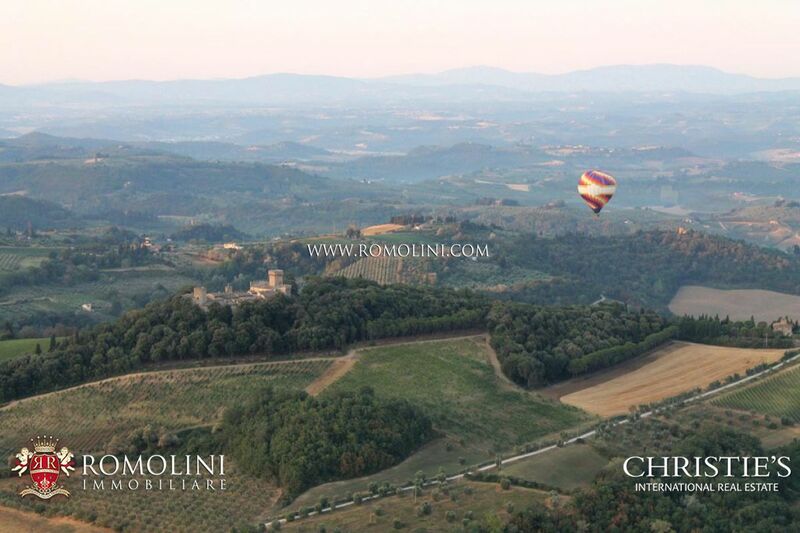 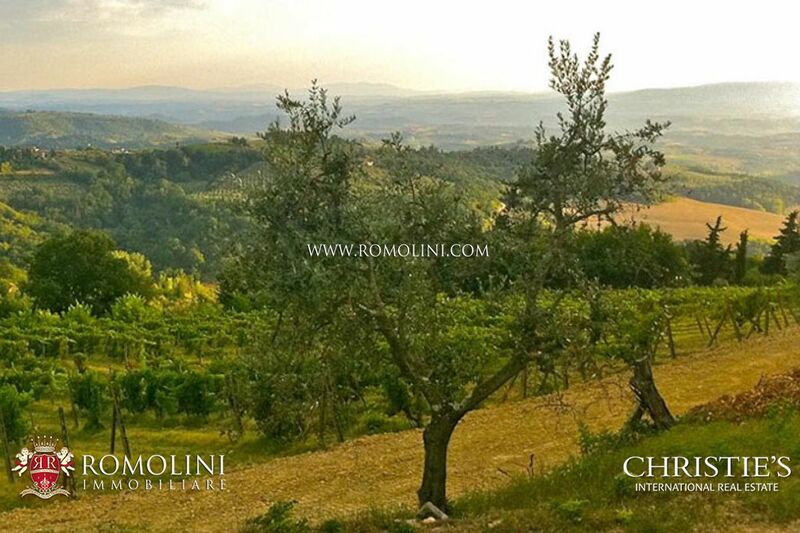 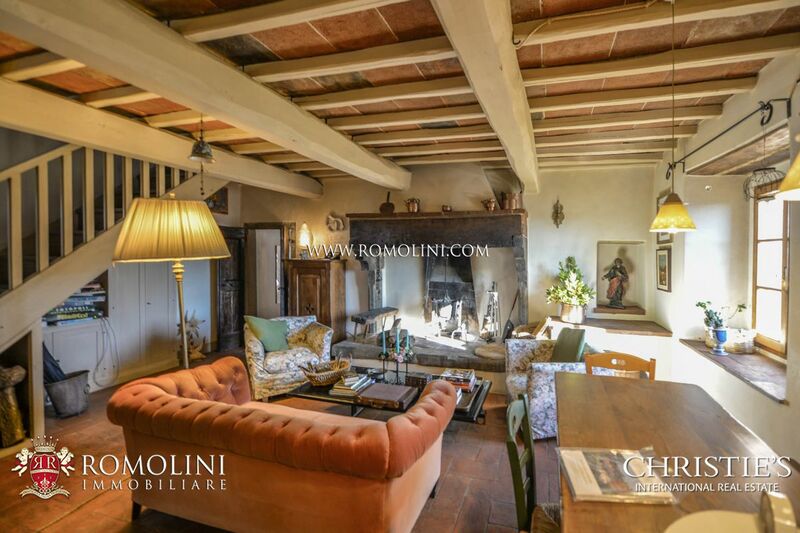 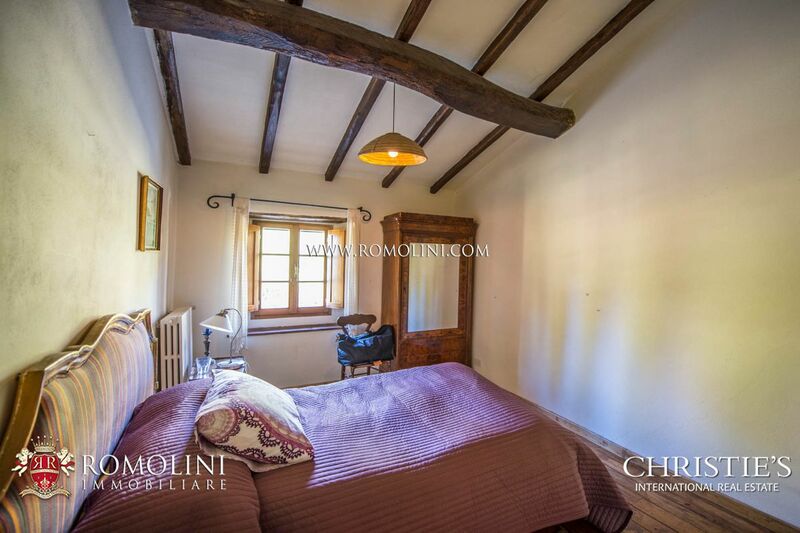 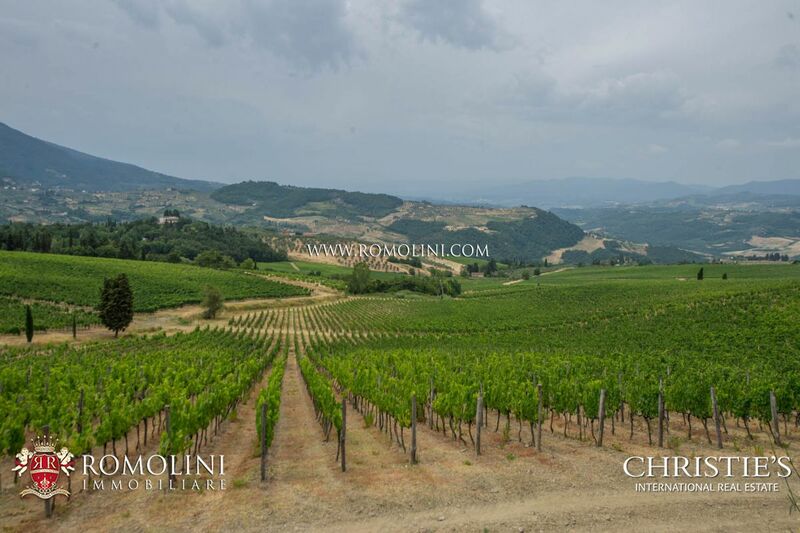 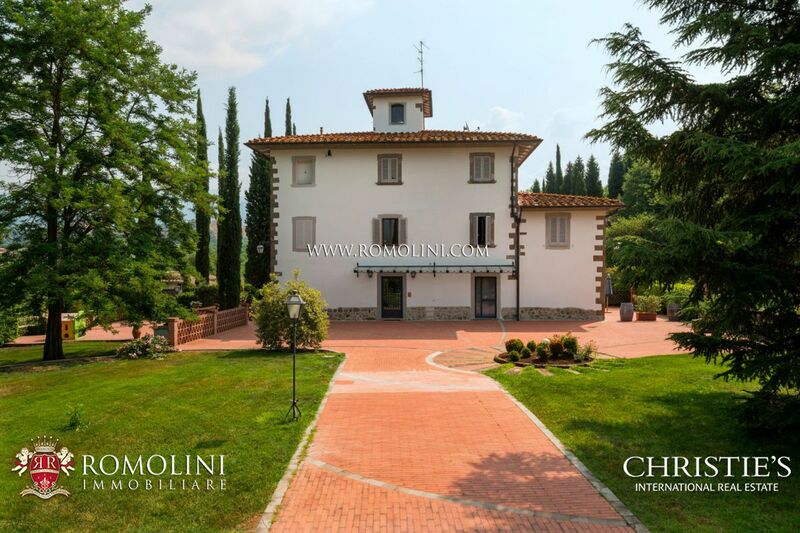 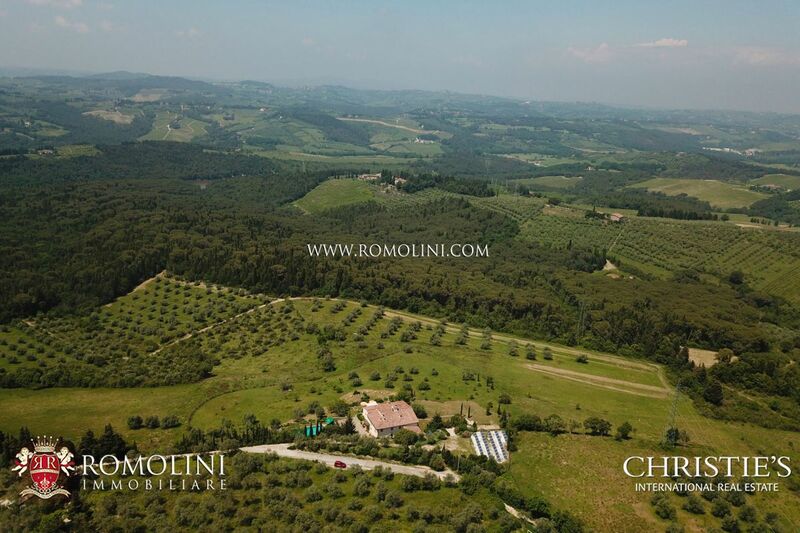 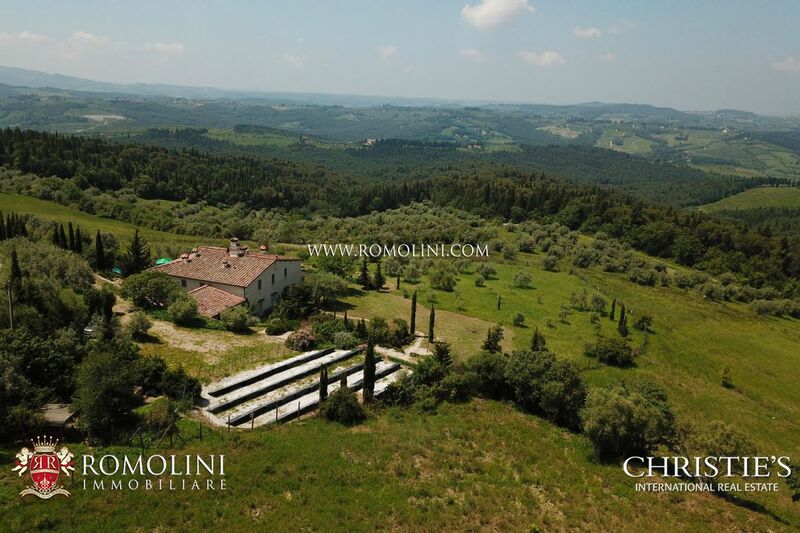 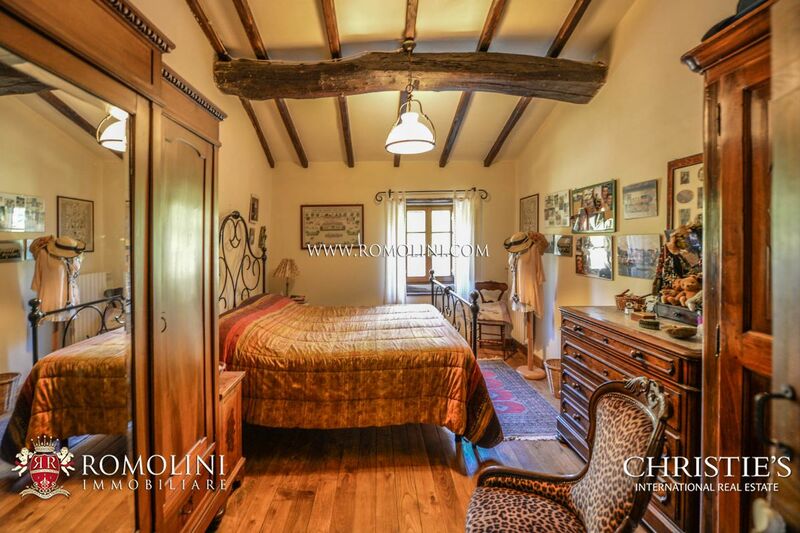 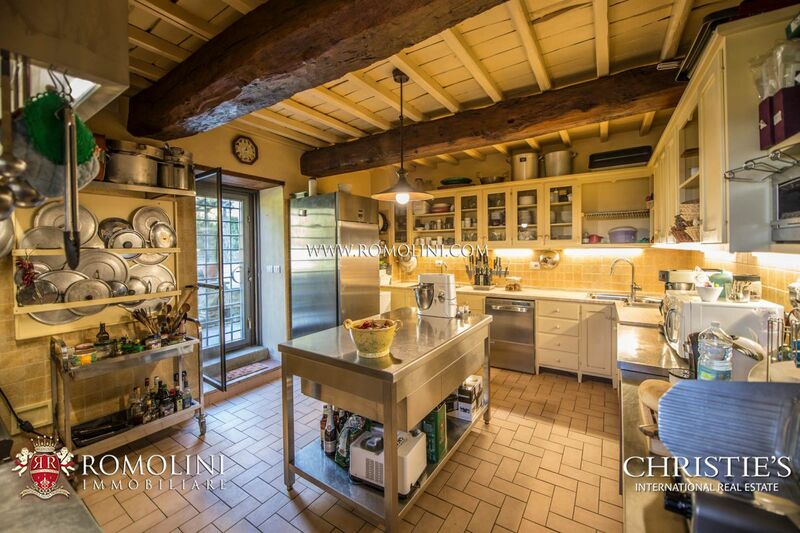 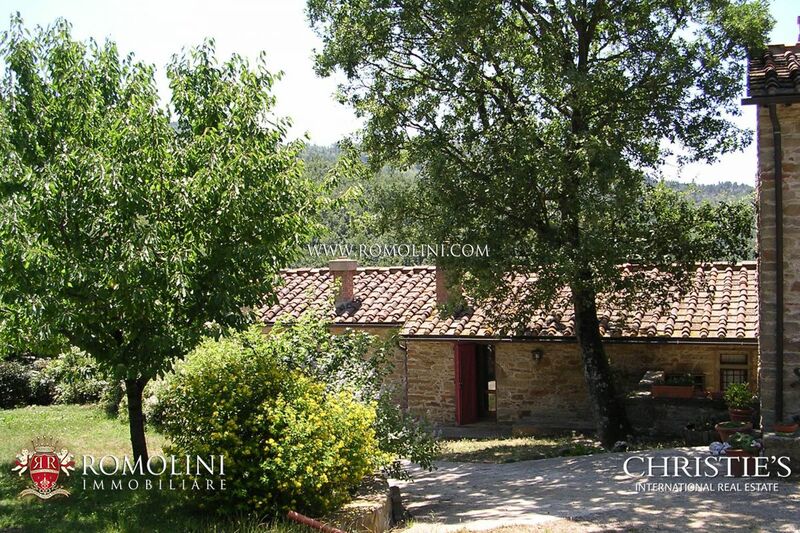 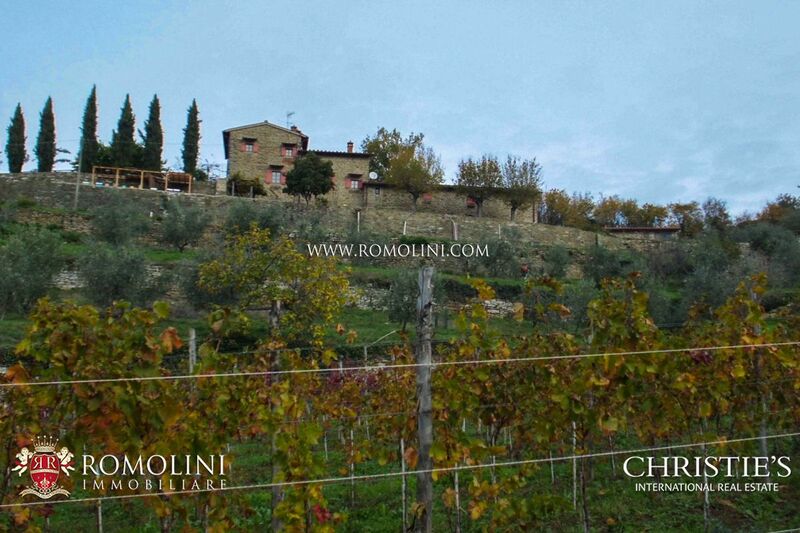 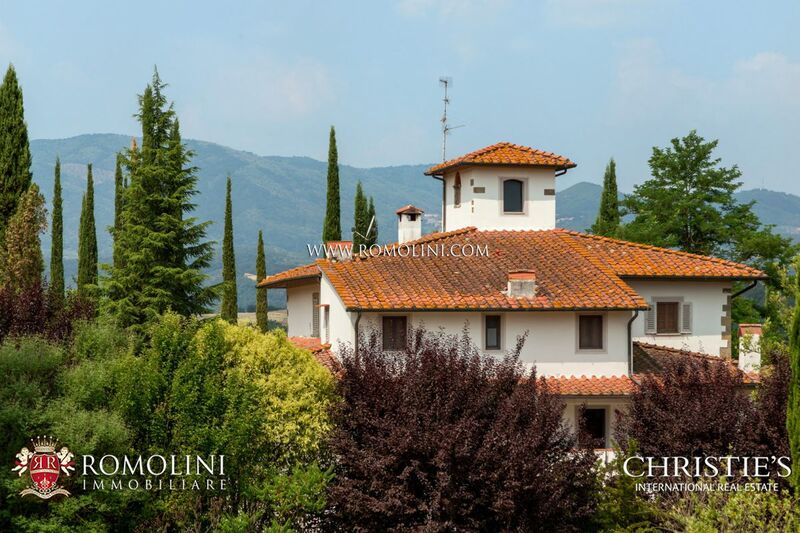 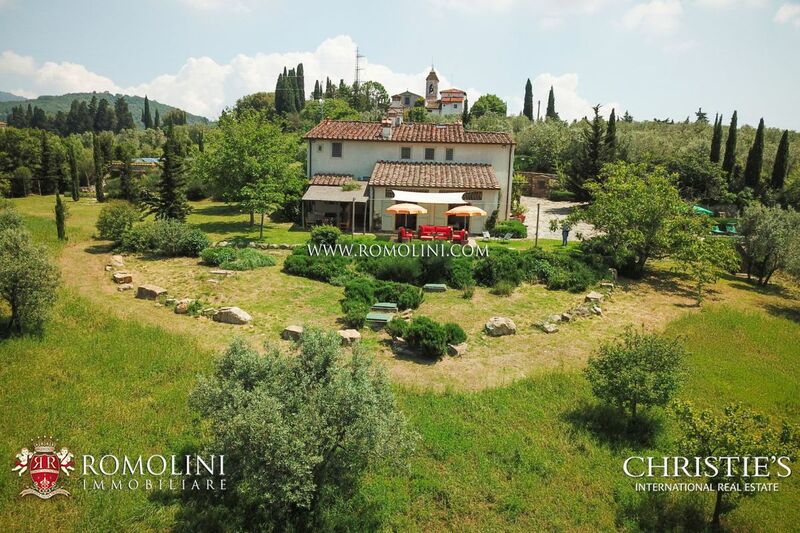 On the hills of Florence, in the area where Chianti Rufina is produced, this organic farm of 4.3 hectares hosts a comfortable farmhouse of 400 sqm with 6 bedrooms currently used in an accommodation business. 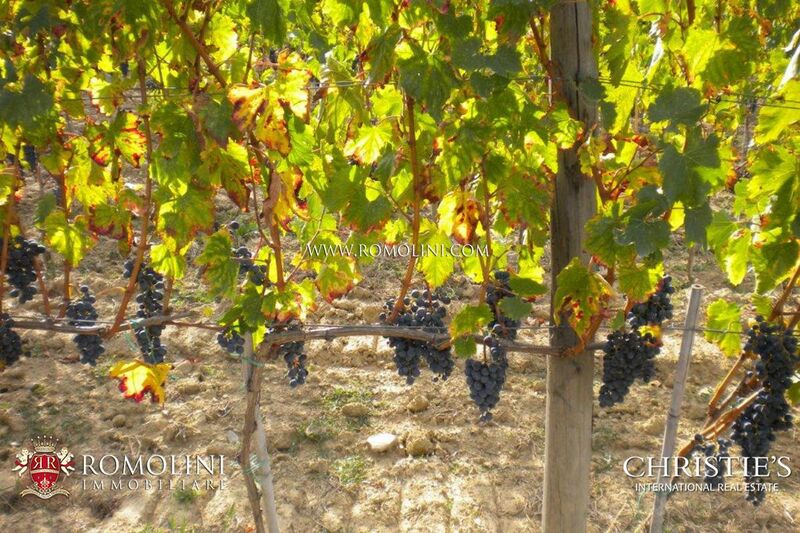 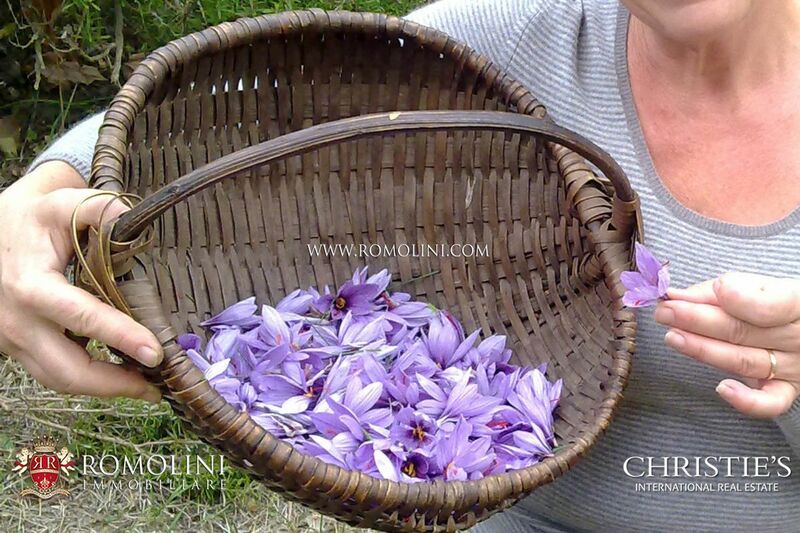 The land of the property includes an IGT vineyard (0.6 ha) and an olive grove (0.8 ha), while the arable land is partly used for the production of saffron. 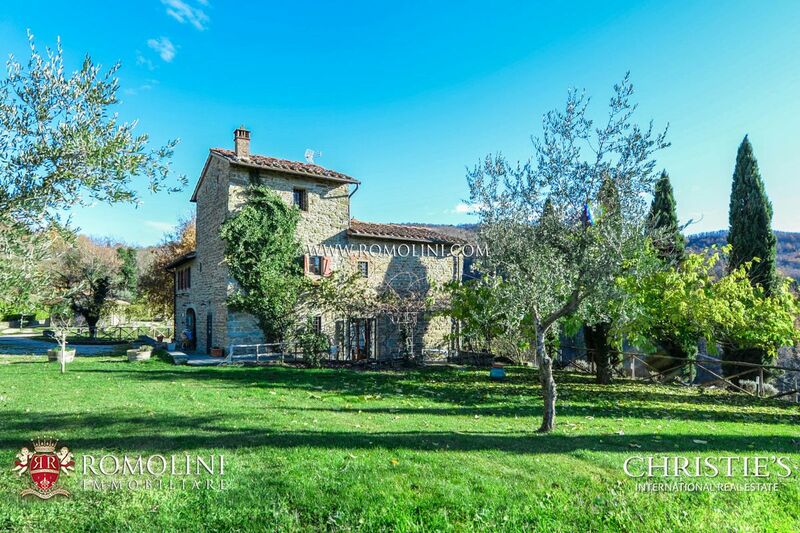 On the hills of Valdarno, not far from Florence and the A1 highway, this 33-hectare estate includes a finely restored historic villa and several annexes used as a hosting business. 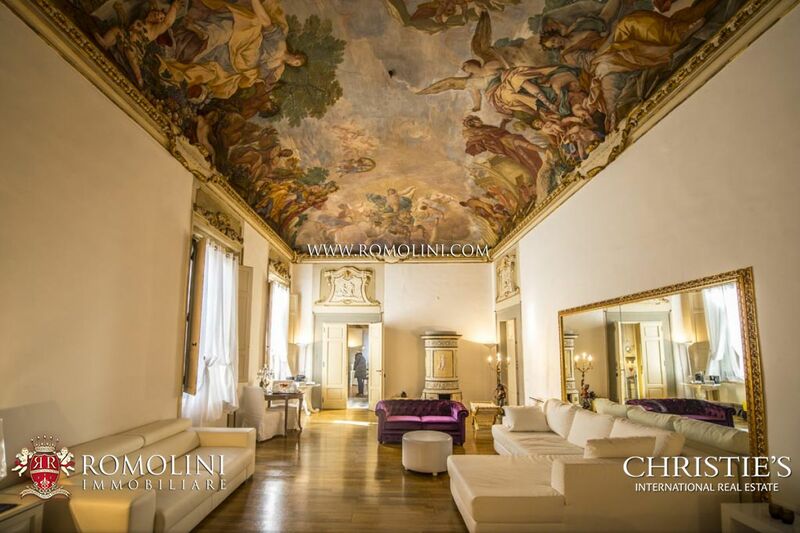 The buildings offer 1,193 sqm of surface and 12 apartments. 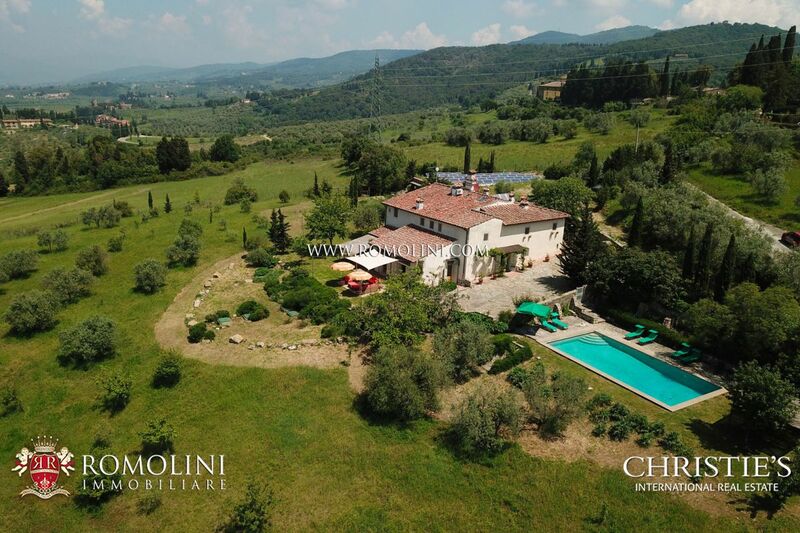 The estate boasts a 14 x 7 m swimming pool, a private pond, a hectare of park and a coppice walnut grove granting a further income. 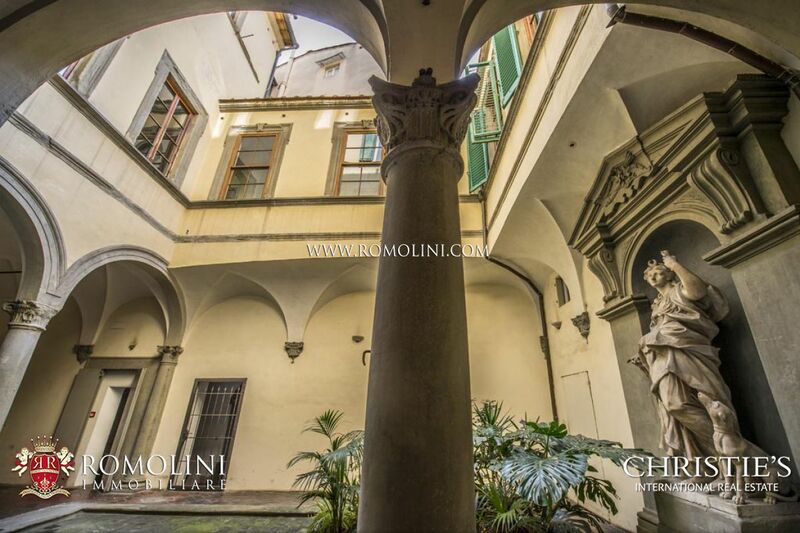 In the heart of Florence, two steps from the most beautiful monuments of the city, this beautiful Renaissant palazzo of 2,187 sqm is currently used as a boutique hotel. 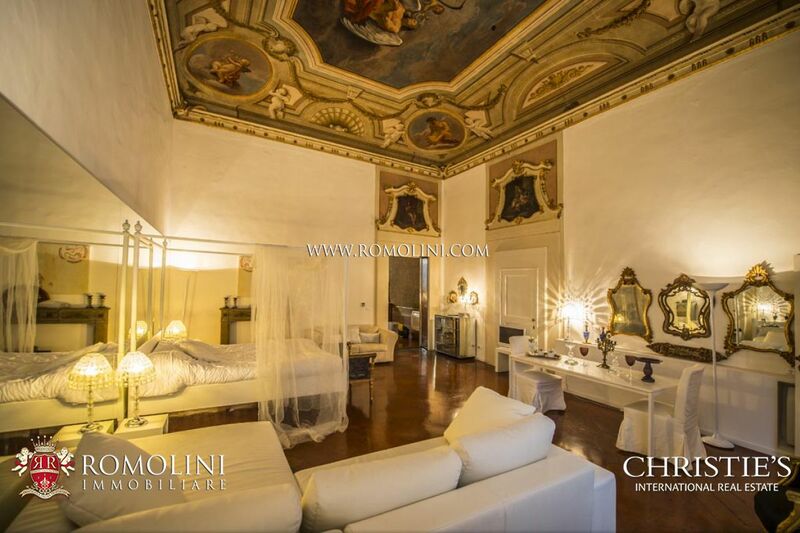 The many extra rooms and apartments host a beauty center, a leather workshop and several apartments which could be used to expand the hotel and/or rented out to increase the income. 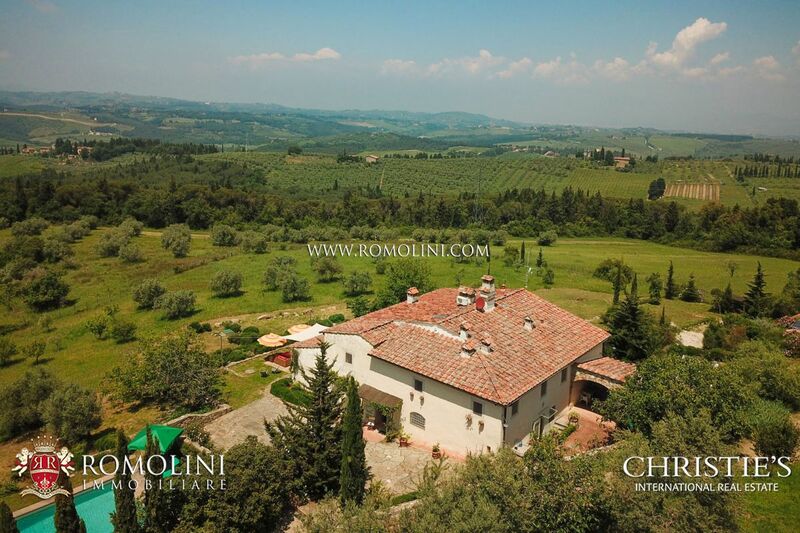 Between the Chianti and the Florentine Hills, not far from the beautiful Florence, this finely restored countryside villa offers 580 sqm of surface and 6 bedrooms to whoever is looking for a quiet life without giving up on services and comforts. 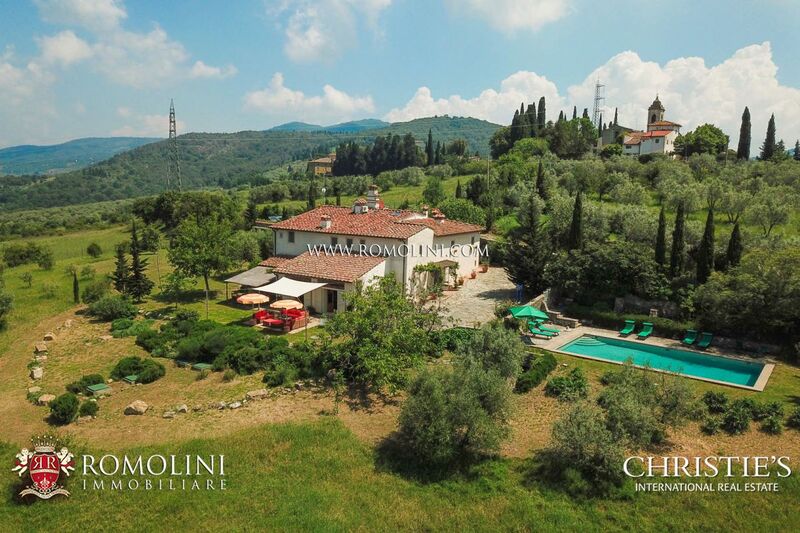 The villa is surrounded by a stone-paved terrace and is completed by a 12 x 6 m swimming pool, a garden and a private olive grove.